WASHINGTON – The number of immigrants in the U.S. illegally has stopped growing for the first time since the 1980s, another sign of the success of border-security efforts, the head of Homeland Security said Thursday. 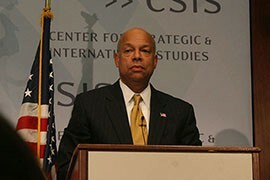 In a wide-ranging speech at the Center for Strategic and International Studies, Homeland Security Secretary Jeh Johnson said illegal immigration is down, border security is up and the word is getting out to would-be border crossers. “Put simply, it’s now much harder to cross our border and evade capture than it used to be, and people know that,” he said. But Johnson added that the department “can and should do more to invest in the security of our borders.” And he said the agency needs to be vigilant about new threats that could be posed by homegrown extremists, like those who are leaving the U.S. to join foreign militants like ISIS. “People who leave their own country … link up with some extreme elements and then return to this country,” Johnson said of Westerners who join the Islamic State of Iraq and Syria, a militant Islamist army currently waging war in those countries. “In many respects, that’s the terrorist threat that I worry most about because it’s the hardest to detect,” he said. Johnson said he thinks the FBI “does a pretty good job” of tracking such individuals. But, he said, “we need to be vigilant” in monitoring their movements and activities. It was the darkest part of an otherwise upbeat hour-long session during which Johnson touted the gains made by his department. 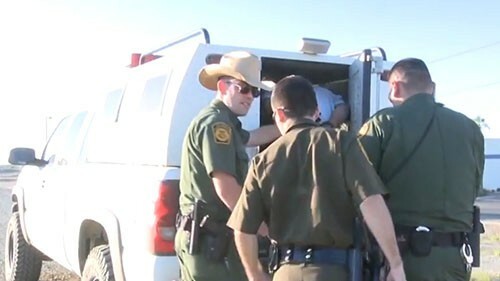 Apprehensions of undocumented immigrants – which the department uses as an indicator of total illegal crossing attempts – are at their lowest level since the 1970s, he said. Illegal migration into the U.S. peaked in 2000 with 1.6 million apprehensions and “has dropped considerably” to around 400,000 annually in recent years, Johnson said. On the southern border alone, the number of Border Patrol agents grew from 8,619 in 2000 to 18,127 this year, he said, while the miles of border fencing rose almost tenfold, from 77 miles to 700 miles, in the same period. This summer’s surge of unaccompanied migrant children from Central America was “a setback” in that progress, but Johnson pointed to what he called an aggressive agency response. The efforts included a public messaging campaign warning families in those countries that migration is dangerous and that those who are caught here will be sent back. The number of children crossing into the Rio Grande Valley now is at its lowest level in almost two years. While the number people who are coming here illegally is down, so is the number of people who are here illegally already, he said. After growing to a high estimated at 12.2 million in 2006, the number of people in this country has dropped to around 11.3 million, Johnson said. Johnson says ISIS is not the biggest threat the United States faces at its southern border - "lone-wolf" acts of terror are more likely because they are the hardest to detect. From D.C., Stephen Hicks has more. 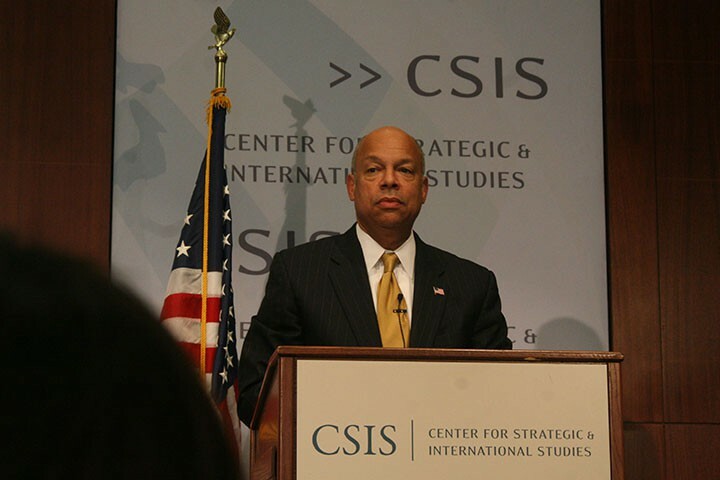 Homeland Security Secretary Jeh Johnson touted the successes of his department, telling a Washington audience that "it's now much harder to cross our border and evade capture than it used to be."